Academy Awards 2014. Oscars Red Carpet Love. Last night was the culmination of awards season. All eyes were tuned to the Oscars red carpet and the following show. Basically a marathon of fashion, suspense, and laughs. Ellen definitely brought the funny in an unconventional way. Of course I had my favorites on the red carpet….keep scrolling to find out who I loved. Sandra Bullock in Alexander McQueen. Sandy brought a classic elegance to the red carpet. This stunning midnight blue McQueen gown is beautifully draped. The sweetheart neckline is just right. The Lorraine Schwartz jewels are simple yet fun. I love how her hair is swept to the side. An overall good look for Sandra B.
Kate Hudson in Versace Atelier. Kate is slaying this red carpet y’all. And she was just a presenter last night! She upstaged most of these nominated actresses with this gorgeous retro reminiscent gown. Kate Hudson wears white on the red carpet like no other. (correctly, ladies. take note.) The plunging deep-v balanced with the strong shoulder open back cape detail?! What?! Killed. It. Pregnant women take note. This is how you do a red carpet when rocking the baby bump. Olivia Wilde just looks so good in this Valentino 2014 Pre-Fall black & white number. The open back and white peek-a-boo detail set the black off so nicely. I love this mod look that is so definitely modern. Hair and jewelry are nice compliments to the dress. Her eyes are set off by the retro chic cat-eye. She looks comfortable too so mom & baby win! Lupita does it again! This time in a stunning Prada gown custom-made for her by Muccia Prada. 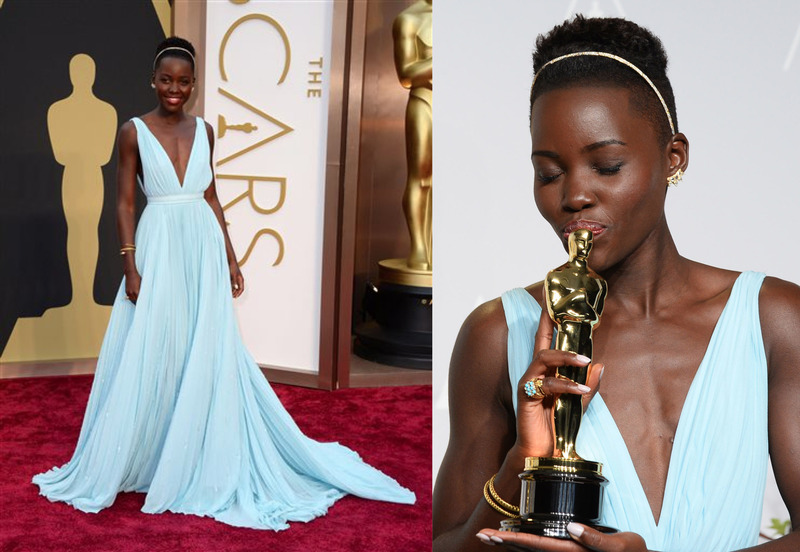 Lupita described the dress as Nairobi blue as it reminds her of the blue skies of her homeland. How can you not love this color on her? She was definitely the princess of the night with her headband and flowing skirt. 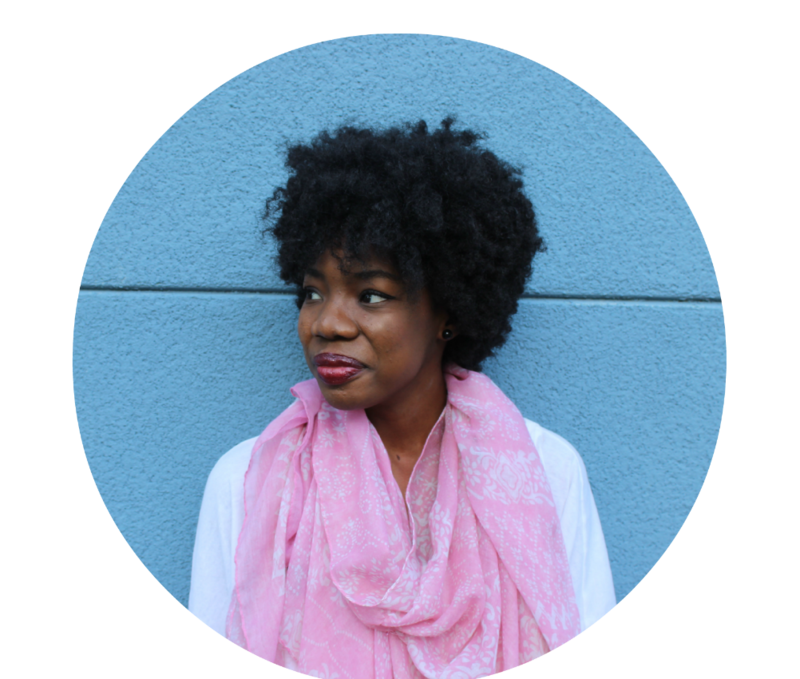 She danced with Pharrell, paid for a pizza in Clarins lip gloss, and won an Oscar for Best Supporting Actress for her role in ’12 Years a Slave’. What an amazing night for her. Can’t wait to see what else is in store for Lupita! BET Awards 2011. Red Carpet.